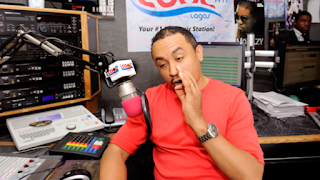 Controversial OAP, Freeze hard talks on Pastors, Churches and their activities is taking a new dimension this year. In a new post, Freeze attacks RCCG City of David, urging the church members to go sow their first fruits to Zenith rather than the church. Every year, Zenith Bank gives Victoria Island residents a beautiful Christmas….. While city of David, a redeemed branch, only 2 streets away, barely even gives the community the feel of Christmas, despite Christmas being the celebration of the birth of the Christ they preach. Zenith bank employs thousands of people every year, giving them the oportunity to earn income to feed, clothe, educate and provide shelter for their families, while City of David, which is only a 5 minute walk from the Zenith Bank headquarters, collects tithe and offering from thousands of people. You can actually see the P.O.S terminals from the road, with heavy security while the community looks dilapidated. I want to ask Redeemed and City of David customers what the essence of Christmas is…. Is it all about tithe and offering? Jesus drove out the people who were turning his father’s house into a market place with a WHIP! That whip is coming to a church near you in 2017… BRACE YOURSELVES! P.S this year if you want to sow your first fruit, sow it to Zenith bank.